From the days of Ernest Hemingway, Key West is legendary for its fertile fishing grounds. The Keys are responsible for more world record fish than any other destination in the world! As with all great locations, our fishing revolves around the seasonal migratory movements of fish into and out of the waters around Key West and the Lower Keys. Our Key West fishing calendar offers all kinds of opportunities for Sailfish, Dolphin, Wahoo and Tuna while others are good for Grouper, Snapper, King Mackerel, Tarpon, Permit, Cobia, Barracuda and Sharks. We fish different bodies of water with the seasons. 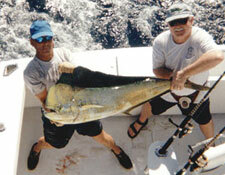 The wrecks in the Gulf of Mexico provide monster Shark, Cobia, Permit and Grouper. 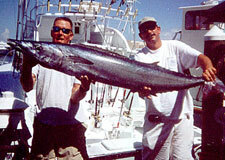 The offshore waters of the Gulfstream and Atlantic Ocean hold Sailfish, Dolphin, Tuna and Wahoo.